Poultry word of the day: chicken, chicken out, chicken-hearted, chicken-livered: to be cowardly. 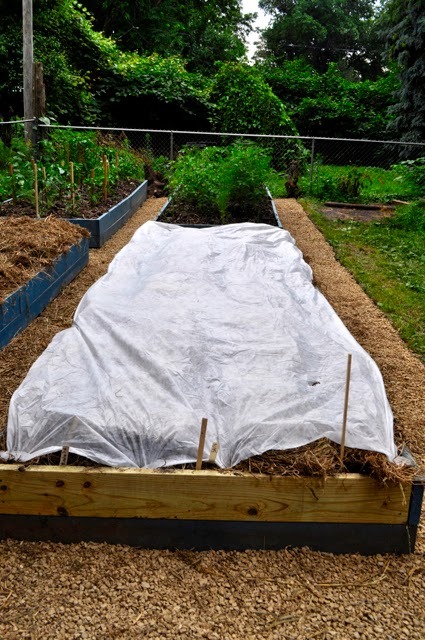 When planting seeds directly in the ground, I'm always careful to lightly cover seeds with a sprinkle of hay and row cover, and then later mulch with hay between rows. 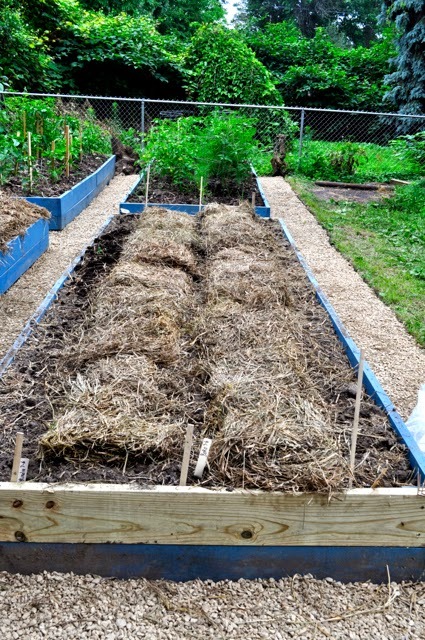 It's a real pain to tear slabs of hay apart and tuck them between rows without damaging fragile seedlings. On reading the back of the beet seeds I planted last weekend, rows are to be 18-20 inches apart. I planted the rows, and then decided to try to mulch between them now. When I laid down the first slab of hay, to my delight (and let me reiterate this was a total accident) I discovered that a slab of hay is either 14 or 18 inches wide. (Hay bale slabs are rectangular.) I found that I had accidentally planted my beet rows with enough space between to allow me to lay down a slab of hay in the 14-inch orientation, allowing space for the plants to push up between the mulch. I am never, ever going to plant seeds any width other than a slab of hay. I share this with you so it doesn't take you 33 years of gardening to figure out this simple mulching trick. I planted three 16-foot rows of three types of beets, Detroit Golden, cylindra and Boro hybrid. Jay and I want enough for fresh eating and lots of canning. And after sampling borscht last year, I'm looking forward to making our own. Hay slabs are conveniently as wide as the suggested spacing for the beets. As I've said before, I'm a big believer in row cover, even over the hay.